My favorite feature thus far is of course the iCloud. Using your Apple ID, you can get your iPhone, iPad, iPod touch, Mac, and PC set up. Just follow these instructions and you’ll be up and running in no time. 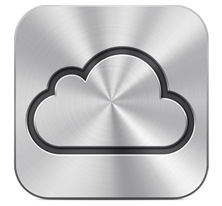 Once your iCloud is set up, it will store your content and wirelessly push it to all your devices. Here’s an example, buy a song with iTunes on your computer, and it will appear on your iPod touch and iPad. When you snap a photo on your iPhone it will automatically be sent to your iPad. You can start creating a Pages document on your iPhone, and put the finishing touches on it from your iPad. There’s no need to dock or sync to your computer. With iCloud, it just happens. Now I’m off to go get the new iPhone 4s, then I’ll be totally up up and away in the beautiful iCloud to stay. Brad – even though I’ve had an Iphone for years, I do not have a mac, but this might push me over the edge. this topic to be actually one thing that I think I’d by no means understand. your subsequent post, I’ll try to get the cling of it!